Tow to Go is an innovative and extremely beneficial service that has been initiated to provide safe ride to the drunken individuals in this holiday season. Any individual who will drink too much this holiday could avail this service free of charge to get himself as well as his vehicle safely to home. During the holiday seasons such as the biggest festive night of the year i.e. New Year Eve, police has reported to arrest the most of drunk driven cases. Sometimes drunk driving even leads to crashes which sours the spirit of the New Year. 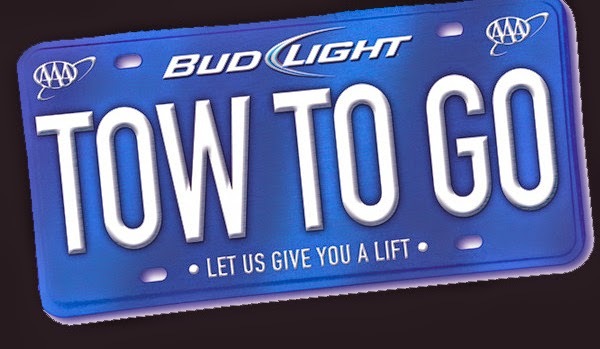 Tow to Go service had been started by the AAA-the Auto Club Group and Bud Light to get the drivers and their home safely. The AAA spokesman Don Lindsey has stated that this year from December 24 this amazing service has started and it will run through 6 a.m. on New Year’s Day. Mr. Lindsey has stressed that its organization is more eager to provide right driving solutions to those people who plan to drink while celebrating the holiday eves and have no designated home going plan like calling a taxi or using a designated driver. He further explains if some is going to keep a designated driver then make sure that person have a great time but gets nothing to drink. Now if none of your plan works then the Tow to Go service is there to help you out regardless of the matter whether you are a AAA member or not. This service would be completely free of charge and certainly that person would be taken to home not to ‘another party destination’. Tow to Go Service isn’t a relatively new concept service or program. Rather it has been in service since 1998 and its President and Owner John Saputo maintain that they have successfully taken more than 25,000 intoxicated home in all those years. He had invented this beneficial a long time back with his staff and now this program had been taken on national level. He believes that drunk driving is 100% preventable if people who wish to engage in drinking activities have a suitable plan for reaching home without causing any damage to their vehicle, self or other. Anyone who need a ride a home after indulging in drinking sessions could call AAA at 855-286-9246. He would be simply required to say that he has happened to drink a lot and wishes to get picked up and delivered to home. A Tow To Go would then arrive at the place, pick and drop him safely to his home along with his vehicle. From wherever the pickup is it, users could go 10 miles for free and at most two people would be given free rides in Tow trucks. Tow to Go service doesn’t offer pre-appointment. It is basically ‘call as needed’ program.